A quote from Nancy Easterlin – about psychoanalysis – from a chapter in `Evolution, Literature, Film: A Reader’ (2010). Freud was a big fan of cocaine – and this led him to some pretty whacky ideas. A quote from Nancy Easterlin – about psychoanalysis – from a chapter in Evolution, Literature, Film: A Reader (2010). `In the past three decades, psychological approaches to literature, including feminist interpretations, have been overwhelmingly psychoanalytic, and this is still the case, even as cognitive psychology emerges as a relevant and fruitful secondary field for literary scholars. The dominance of psychoanalysis holds true for Wordsworth scholarship, an area in which, given the poet’s developmental concerns, psychological orientations seem particularly apropos. Unfortunately, Freud’s most basic assumptions about infant experience, still credited in various forms by Lacanian and many feminist scholars, are no longer accepted by developmental psychologists, who regard the infant as a self-organizing system engaged in a fundamentally productive and social relationship with his primary caregiver, usually his mother. Whereas Freud posits that the infant’s attachment to the mother is a byproduct of nursing, a secondary drive derived from a sexualized primary drive for food, developmentalists have long considered these views in error (Bowlby, Attachment). First, studies of animal behaviour consistently demonstrate across a wide variety of species that there is no causal relationship between food and attachment, the most important research in this respect being Harlow’s 1961 experiments with infant rhesus monkeys who were isolated in cages and who would cling to a cloth and chickenwire “mother” rather than eat, and who later manifested severe emotional and social disturbances. These findings are supported by Konrad Lorenz’s studies in the 1930s of imprinting behaviour, which demonstrate that even chicks attach to a parent-figure independent of food availability. Indeed, primates and humans characteristically develop strong attachments to those who do not meet their physiological needs, a fact which psychoanalytic theory is poorly equipped to explain. 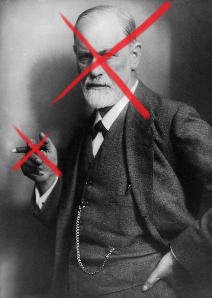 Secondly, Freud’s assumption that incestuous desire is natural and normative should have struck a discordant note even in the nineteenth century, for before the theory of natural selection and the discovery of genetics, breeders had long known of the damaging effects of inbreeding depression. This alone makes it improbable that attachment to the mother is mobilized by a sexual drive. In other words – we all should stop using Freudian and Lacanian theory to analyze films. As Bordwell notes here (in Bordwell 2012, online) a much better approach is the consilient biocultural approach. `Academics praise interdisciplinarity, of the cooperation of the humanities and the sciences. Too often, though, that cooperation involves only interpretations. Humanists join with social scientists in producing readings but not explanations. The engagement of film studies with empirical psychology and cognitive science over the last three decades has come closer to providing the sort of “consilience” that Edward O. Wilson proposed: unified explanations that bring art, humanistic inquiry, and scientific inquiry together (Wilson 1998). So here is a simple diagram, of sets of things that should be considered in understanding movies and how they work. David Bordwell reprinted in Boyd, B., Carroll, J., & Gottschall, J. (2010). Evolution, Literature and Film: A Reader. New York: Columbia University Press. Nancy Easterlin, reprinted in Boyd, B., Carroll, J., & Gottschall, J. (2010). 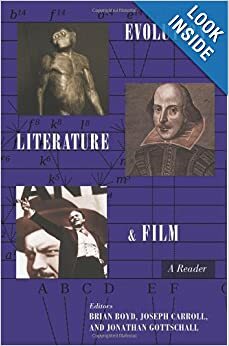 Evolution, Literature and Film: A Reader. New York: Columbia University Press. Bordwell, D. (1997). On the History of Film Style. Cambridge, Mass. : Harvard University Press. Quart, A. (2000). `The Insider: David Bordwell Blows the Whistle on Film Studies’. Lingua Franca, 10(2), 34-43.